A fine and very detailed large Victorian British landscape painting which depicts a fishermman in a boat in an open panoramic river landscape. 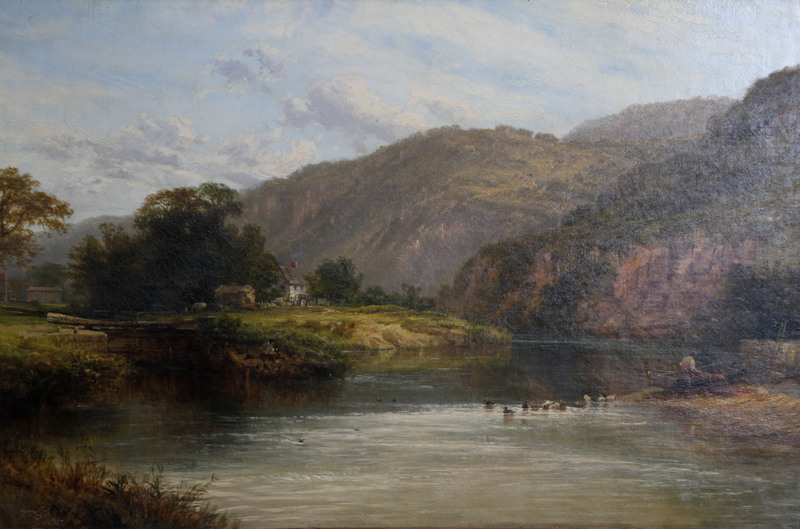 It has been painted in oil on canvas by listed and exhibited Victorian artist George Cole in 1875. 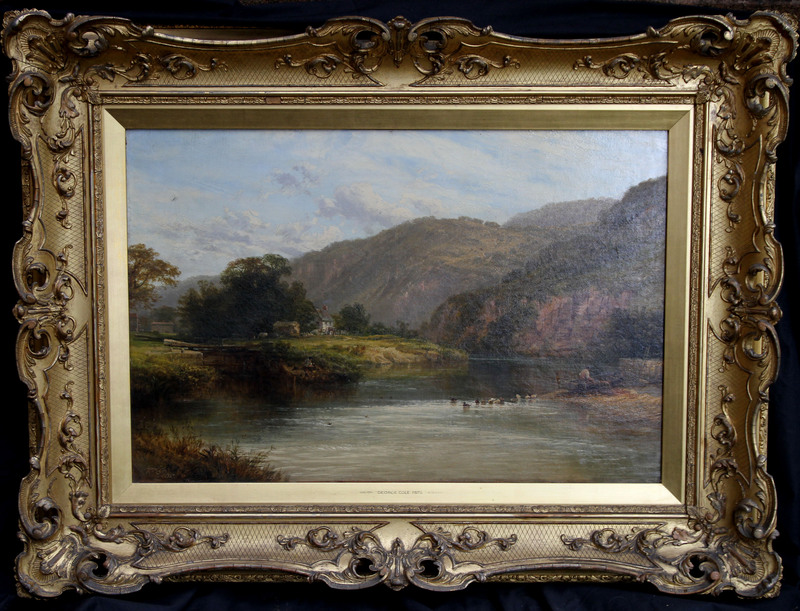 A wonderfull large work by Cole and one of his best, in stunning untouched condition in its original frame. Signed left George Cole and dated 1875.